Introduce to your home . A pack of 4 uniquely contemporary styled chairs with padded sell style seats and stylish metal frames in a white finish. 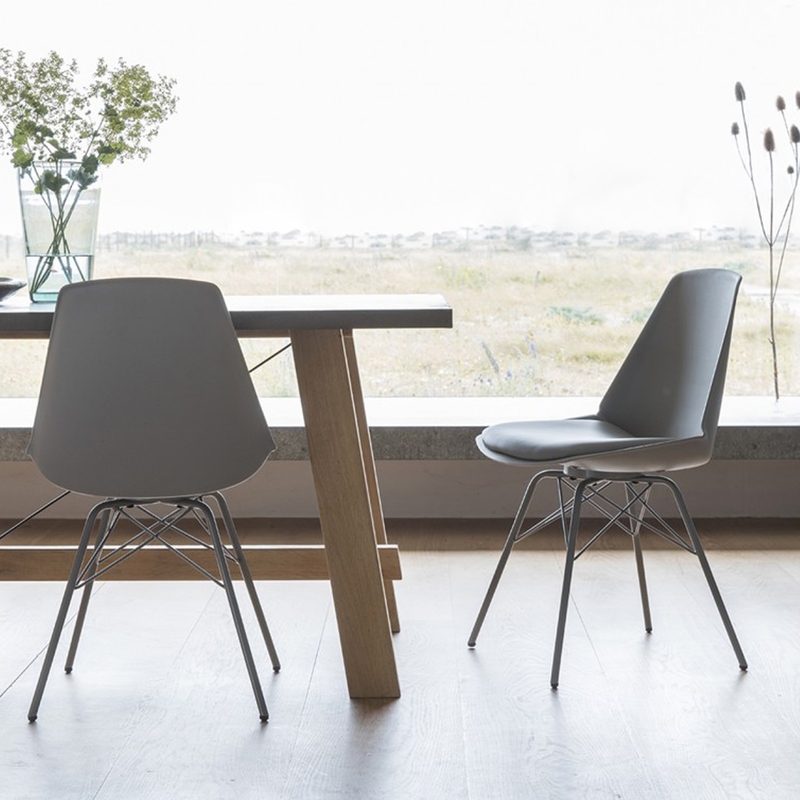 Ideal to add a clean and modern look to your dining area. The ideal chairs if you are wanting something stylish and practical for your home but still adding beauty and simplicity.